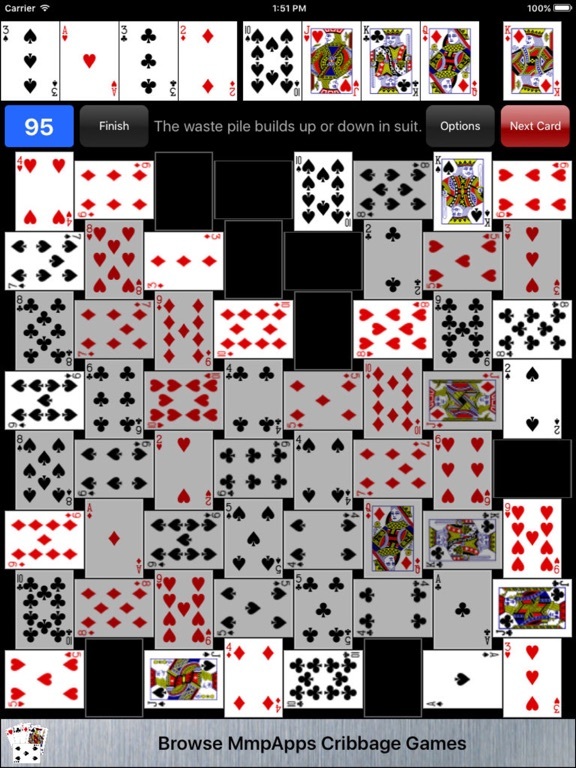 Three crazy games of two-deck solitaire. 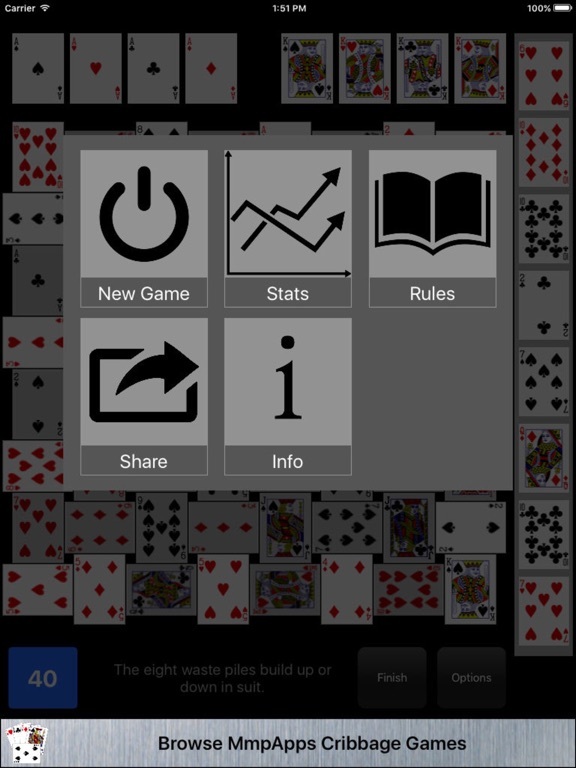 The board is a checkered weave of cards with the unusual rule that you can only move a card when it has at least one short side free. All three games are free to play. No in-app purchases. CRAZY QUILT - You get two passes through the deck. 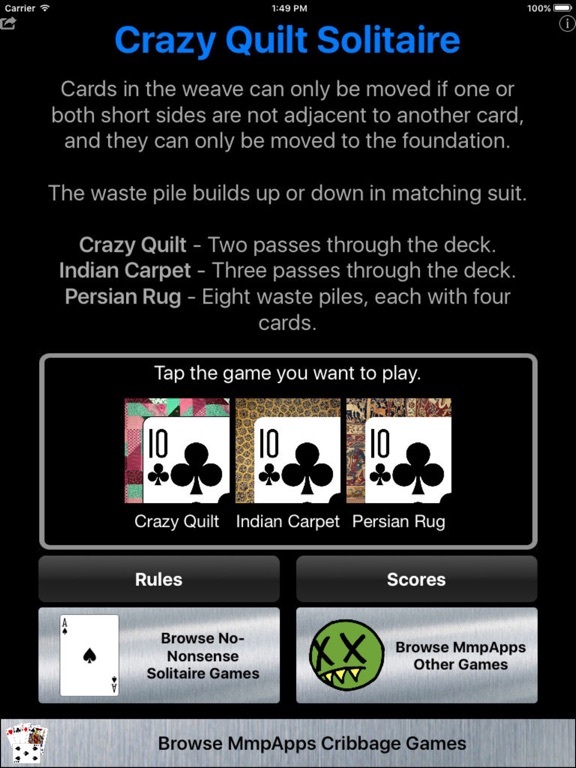 INDIAN CARPET - You get three passes through the deck. PERSIAN RUG - No deck. 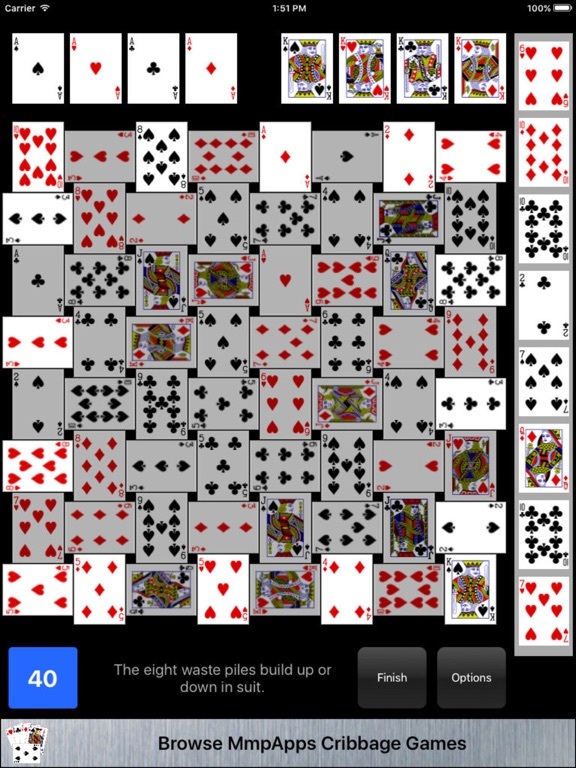 Eight waste piles with four cards each.